I love love love this! It is a book of poetry but not stuffy or formal poetry in any sense. It is a collection of Patrick’s writings and thoughts in a very real and immediate way. Patrick uses words like a kaleidoscope uses colours. He has the words twisting and spinning and soaring in all sorts of unexpected ways to wonderful and creative rhythms. I am in awe of his control of language. Patrick covers more than just self description. He promotes love, an open minded attitude to life and an enthusiastic acceptance of the difficulties of life, even though he admits that sometimes that life is a struggle. I feel a surge of positive energy reading his work. 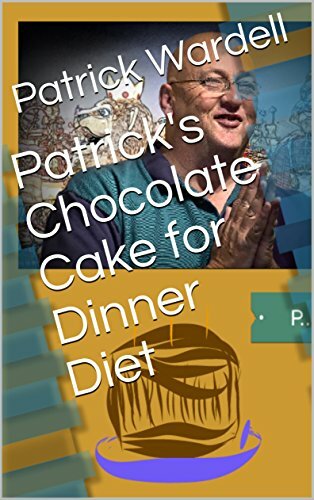 You can buy ‘Patrick’s Chocolate Cake for Dinner Diet’ on Amazon and you can find the author Patrick Wardell on Facebook where he often shares his writing, and I recommend you do both.